There are many different milestones in life that make up some of our favourite memories. You might have forgotten your first day of school, but it was certainly a big day for your parents, and you’ll almost definitely remember that joyous last day of school. Next, comes graduation and the start of a new career, and then, of course, you’ll find your own true love and prepare for the biggest milestone in your life: your wedding day. Weddings are usually a once in a lifetime event for each of us and for that reason, we like to make every aspect of them as special as possible. If you want to impress your other half and your guests, you might consider taking dance lessons in Brisbane. Dancing is one of those hobbies that most secretly likes to do in their free time and yet largely don’t have the courage to let loose at social events. It’s a shame because Brisbane has so many venues where dancing can really be enjoyed. However, when it comes to your wedding, both you and your loved one could benefit from a few dance lessons, and if you choose our school, we assure you that you’ll have tonnes of fun in the process of learning something new. You might not fancy yourself as much of a dancer right now, but you’ll be surprised at how quickly you can learn if you choose the right school. 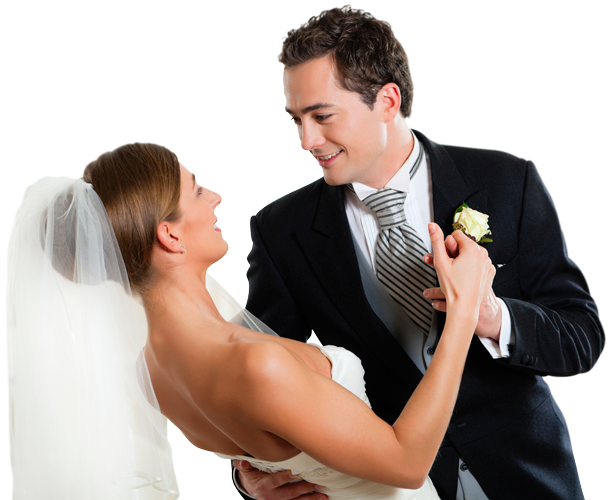 If you want to find the best trainers to ensure your first dance as a married couple is a major success, you should look for a relaxed and friendly atmosphere, a teacher that will show you how to apply your skills to real life contexts outside your wedding, and an establishment that guarantees your satisfaction. That’s why so many people come to us when they’re looking for an excellent dance school in Brisbane. At Dancecorp, we personally train all our instructors so that they’re familiar and comfortable with our unique syllabus, and we also offer private lessons for those who want classes to build up their confidence before showcasing their skills to a large group of people at their wedding. Even though we promise you’ll have a lot of fun making new friends in group classes, we’re the company to call if you’re looking for private dancing lessons in Brisbane. We understand that those with little to no experience might struggle to find the courage to head straight to class and give it their all. That’s why we offer classes for all skill levels, from absolute beginner to advanced. We also know that while group classes offer great opportunities to make new friends, some people would prefer to start out with private dance lessons in Brisbane. Whatever your needs and whatever style you wish to learn, our establishment in Brisbane offers classes to suit your individual requirements. Get in touch with us now to find out how we can help you.